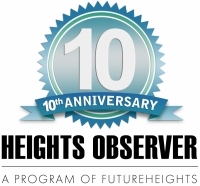 As a 26-year resident of Cleveland Heights, I took great interest in community issues and learned a great deal about them through my stints as a city of Cleveland Heights Housing Service consultant; as one of a number of concerned citizens who rallied around quality of life and city planning issues by creating FutureHeights in 2000; and as a volunteer in Grant Deming’s Forest Hill Historic District. My experiences have led me to the conclusion that Cleveland Heights has not been well served by its current council-manager form of government. This structure may have worked well in the early 20th-century Progressive-era view of government needing to be placed on a business footing, but today’s challenges require a new approach. The costs of the council-manager form of government are clear. The insular culture in which I worked at city hall in the 1990s allowed many of the internal systems that should have been modernized over time to remain archaic and inefficient. I became even more aware of these drawbacks as my neighborhood struggled with vacant and foreclosed housing. We worked with the city over many years, including advocating [for] the adoption of a foreclosure bond that has yet to come to any meaningful discussion. We also came to see that it was ill-prepared, even on a 21st-century data level, to handle the intricacies of combating this issue. Housing data that should have been available at the touch of a computer key was only available stuffed in a file cabinet on many pieces of paper. The housing department’s go-it-alone culture didn’t allow for reaching out to collaborate with existing local resources for better data collection (such as CWRU’s NEOCANDO, as was pointed out at the time by our volunteers). When FutureHeights formed in 2000 to organize citizen support for the community, the council-manager form of government created a prescription for inertia that made the city ill-prepared to work with us. This structure of no accountability encourages the administration to keep residents at arm’s length. Instead of having the leadership in place to embrace organized citizen assistance, city hall was entrenched with a suspicious and defensive response. When no full-time city employee is elected by residents, it should come as no surprise that accountability to residents (or even their entirely part-time elected representatives) might suffer. I don’t place the blame for this inertia on individuals, but on a system that doesn’t encourage new ideas and proactivity to city opportunities and challenges when they present themselves. There remains not one elected full-time person to approach to bring people and important resources in through the door, greatly hindering the city’s ability to respond to its challenges, such as fighting the problem of vacant and blighted homes, accommodating the city’s increasingly poor and aging population, and becoming a place where young people want to live and raise their families. Some may take the position that the current system has worked over the years and that change would violate the old maxim “if it isn’t broken, don’t fix it.” However, the city long questioned the need for a master plan, something FutureHeights and others consistently proposed from 2000 until 2017. Similarly, for years the city rebuffed calls for the creation of a community development corporation, which could be a municipal partner in development issues; today it is finally in talks with FutureHeights to achieve that overdue goal. Perhaps the city will also recognize the benefit of adopting the foreclosure bond legislation residents have sought for years as a way to shift the cost of vacant properties from taxpayers to the financial institutions that unnecessarily created the vacancies. All these examples reveal the belated progress of valuable ideas in a system that, while not “broken,” nonetheless can miss important opportunities due to a structure that does not contain enough accountability or resident input for today’s world. 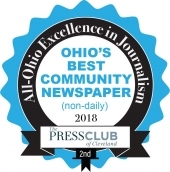 Through these iterations of my life as an engaged citizen, I’ve come to the conclusion that accountability and progress in Cleveland Heights can better be achieved by embracing an elected mayor, accountable to the voters, with a mayor-appointed chief administrative officer, and a mix of ward representation and at-large council members. Sarah Wean was a resident of Cleveland Heights for 26 years.